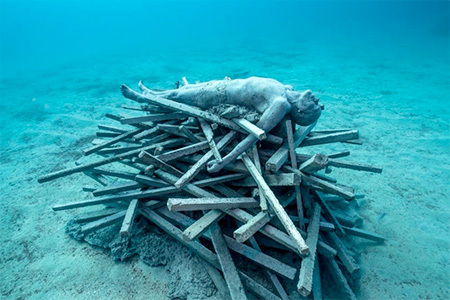 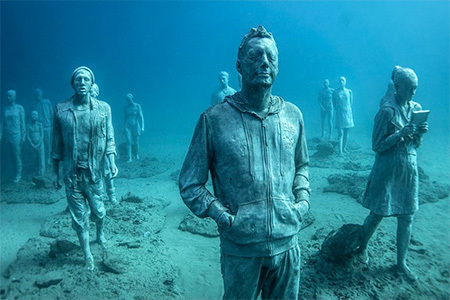 Beautiful sculptures of life-sized humans placed in clear blue water of the Atlantic Ocean by talented artist Jason deCaires Taylor. 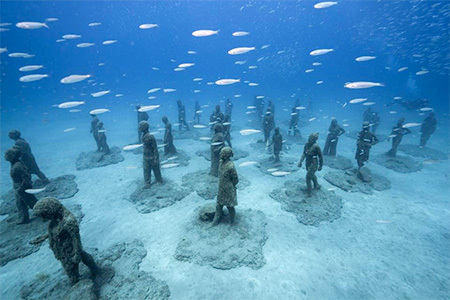 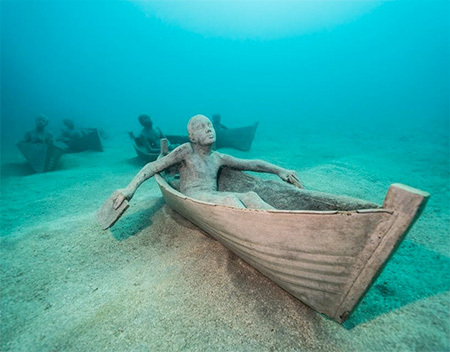 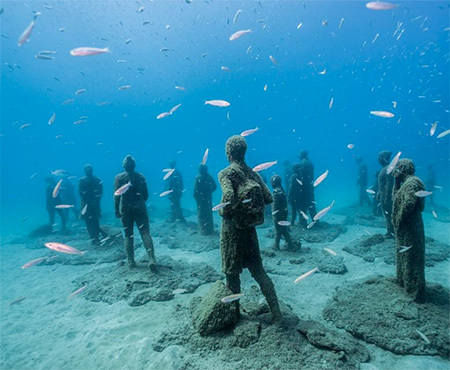 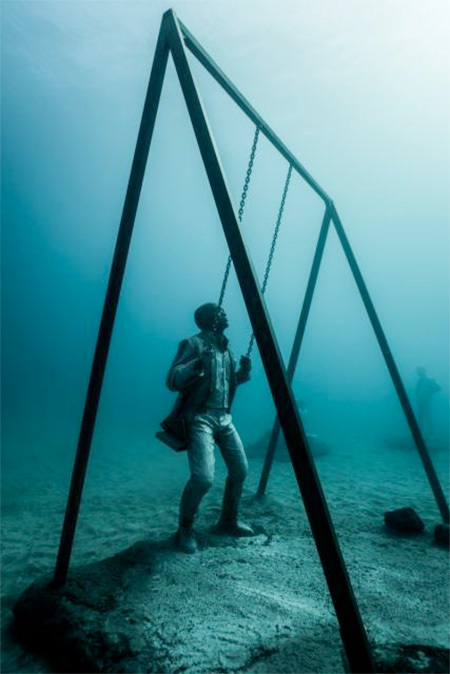 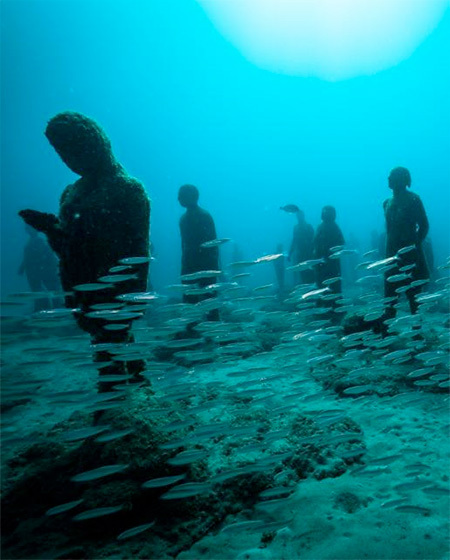 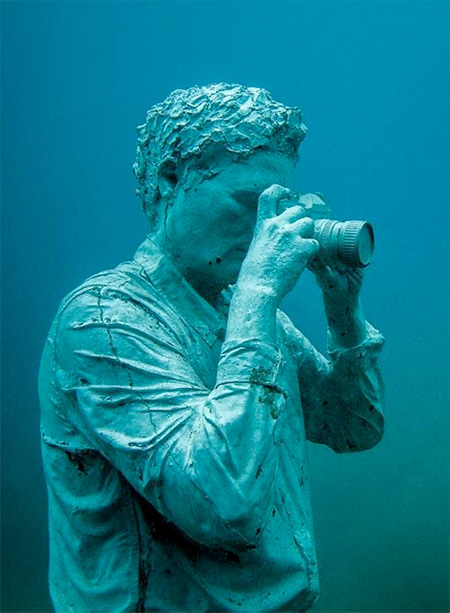 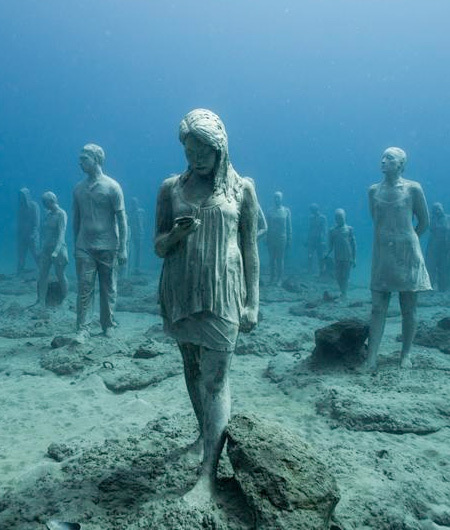 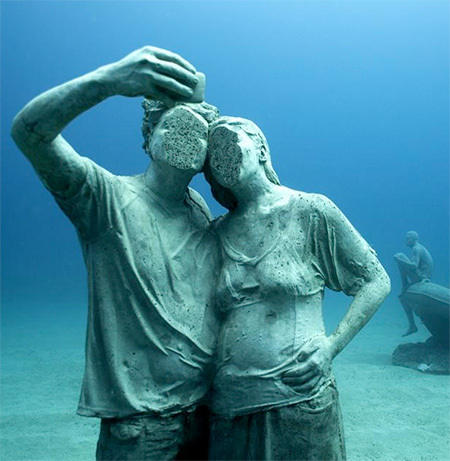 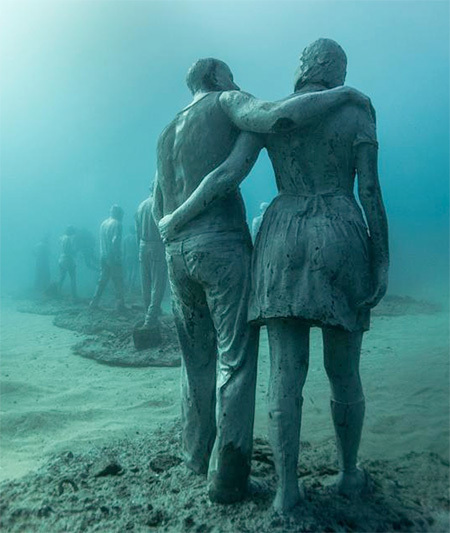 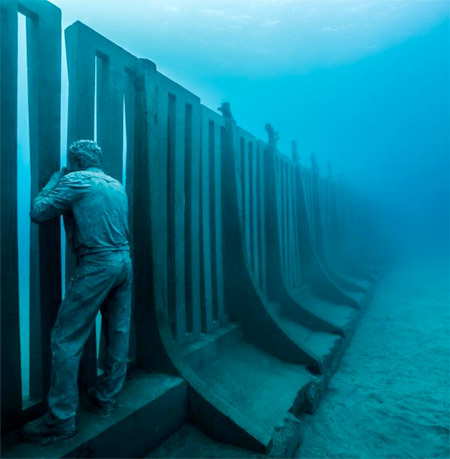 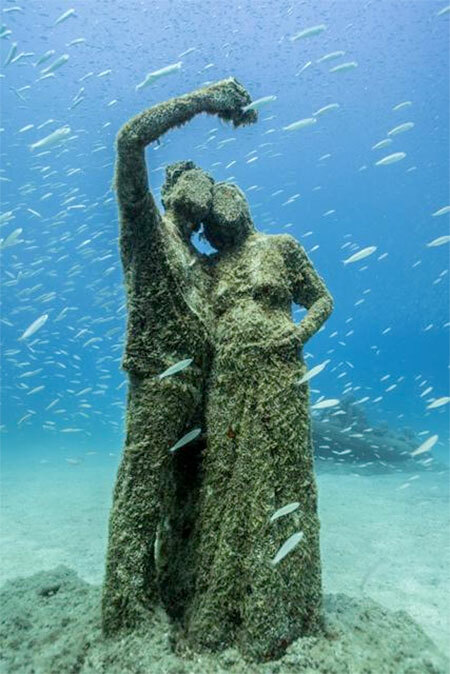 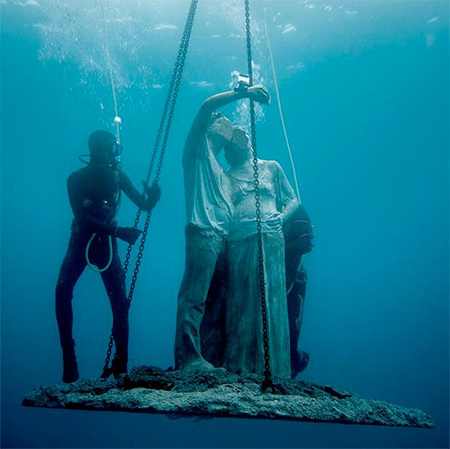 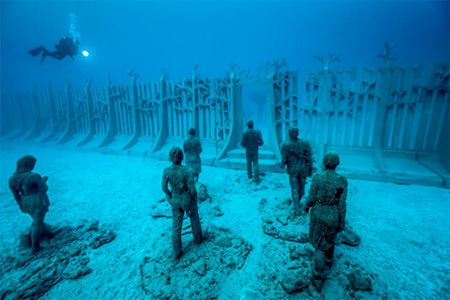 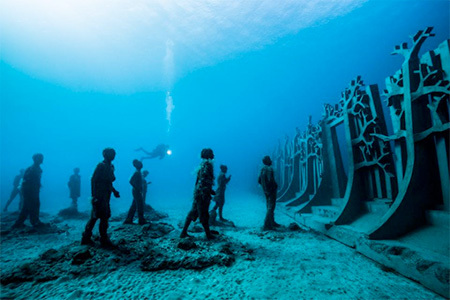 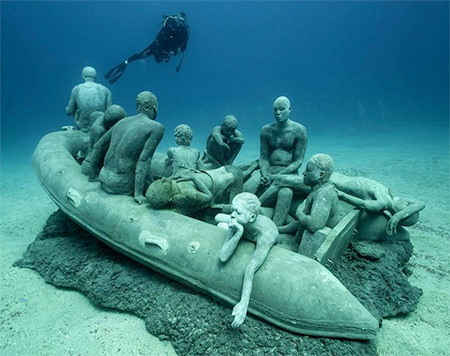 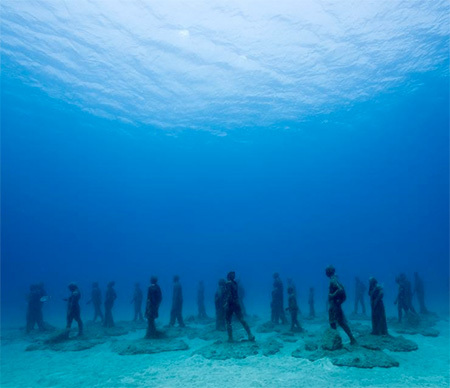 Museo Atlantic underwater museum off the south east coast of Lanzarote, Spain features 10 art installations and 300 underwater sculptures. 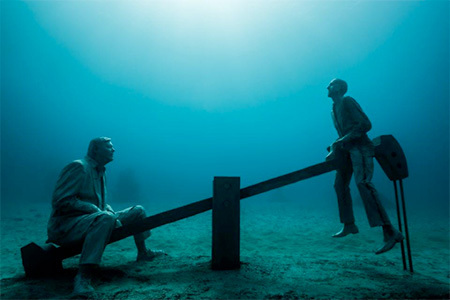 This is deep, for the depth of the sea and emotional.